There's nothing like a deadline to spur productivity. I found out that I am going to be featured artist in August not June so I am relieved to have more time to put together my work. But this show has definitely been the spark I needed to get my act together! I have so many new ideas swirling around in my head and it's such a good feeling. I told my daughter May that I needed her so I could take photos to use for new work. So last week we had some nice weather one day and we went out in the yard where I took lots of photos of her to use as references for my drawings. I definitely put her to work! I made her jump for about 5 minutes straight to get the photo I used for this drawing. 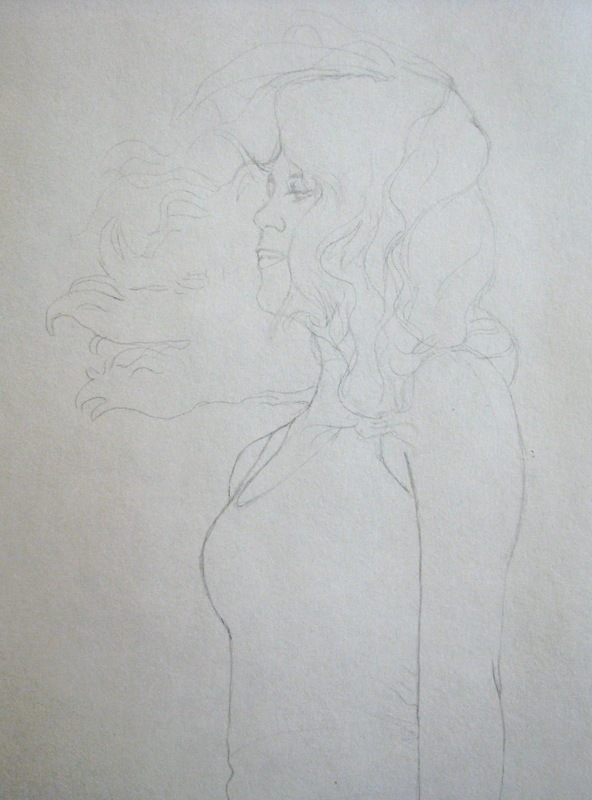 Unfortunately that was the last sunny day we had so these pictures of my drawings are really dark and out of focus. I also have a new encaustic that is close to being done that I will post photos of soon too. We are in the last couple of weeks of school and I am looking forward to summer break and more time to work in the studio!